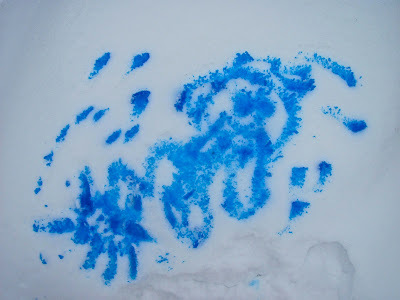 The Chocolate Muffin Tree: Revisiting Snow Painting!! We ended up having a warmer day yesterday so we tried out the brush technique again. Still pretty discouraging for a preschooler, but I noticed that the foam brushes were working better because they held more color and spread it out better! Much better success! Solution: Use a foam brush and wait for a day over freezing!!! Here is a BEAUTIFUL snow painting (with a foam brush)!!!! The Artist told me that it is herself with the sun and it is raining!!! I think she is ready for Spring!!! 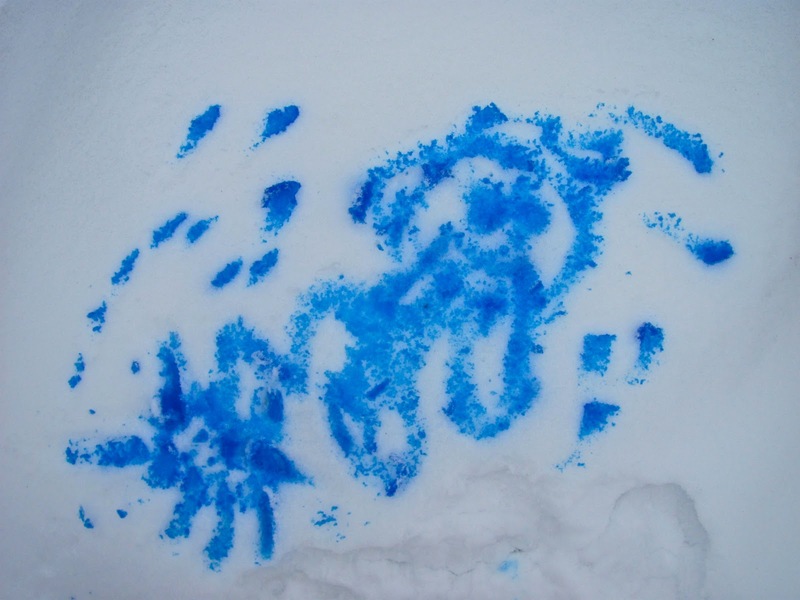 Have you had successes with snow painting? Melissa, I can honestly say we have NEVER snow painted before ... In fact, by FAR, most of the children we know would NEVER have seen snow before but gee it looks like FUN! It can be great fun and I think I inspired the neighbors to do snow painting because their snowman was covered with colors yesterday! Thanks for stopping by my blog! Oh My Gosh that is the greatest idea! I am only 7 months pregnant right now, but this is such a great idea. I can't wait to do this, I know I have awhile, but I am going to have to log this into my memory!! Hello Homemade! Well, you could try it yourself1 Half the time I enjoy these activities I do with my daughter just as much! Bookmark it! Aaah that looks like so much fun! We don't really get much snow here - if we are lucky - once enough for a snowman!!! It was a lot of fun! A lot of our snow has melted---but I'm sure there will be more before the first day of spring! I really love the way the trees turned out! Thanks! The best ideas are spontaneous! Ha! Don't tell the little Artist that it's not even officially winter yet! What fun. 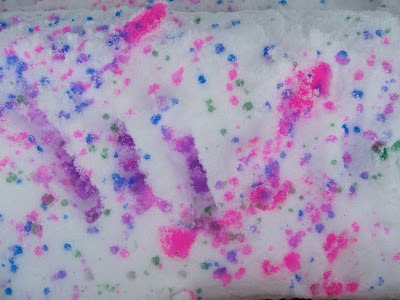 Turkey basters, pippettes, spray bottles, big brushes, catapult splats... WE love to add color to our winter wonderland! Thanks for posting this! I was inspired by this to do a little indoor version of snow painting and it was tons of fun.